Thoughts, Music, Books. Stars Hiding Under My Bed. I feel weird. Actually, I don’t feel weird. I feel hurt. For the first time in months, there was suddenly this strong tug at my heart and for a moment, just a moment, I was out of breath and I couldn’t breathe. No one ever made me feel so happy. And I know that I should’ve prepared myself better because he’s the only one to make me feel so opposite of that. He’s the only one capable of doing that. He by the way means this guy who has been in my life for years now and I’ve come across this certain stage where he and I became so close that there was no turning back from that. I didn’t want to lose it, my control and my sentimental outlook for our friendship, but I did. I lost it. I fell and during that long windy fall, I became the happiest that I could be. No worries. No stress. No nothing. I’ve never been just happy but I was…with him. How am I going back from that now? He could hurt me. Unintentionally, probably. But he could. And by the way his ‘ex’ is coming across right now, I don’t think that our time of happiness has run out. Maybe he couldn’t really hurt me. But she can. And my fears are all so little and stupid, really. But (which I say a lot) could you blame me? Is there really a reason for me to fear this and feel hurt…? I don’t know what to do anymore and he’s making me crazy and unsure and strange and human. I feel human. I could feel my humanly beating heart against my chest and it’s running faster and faster as the hours and the days grow farther and farther from the promise of ever seeing each other again. It’s all so dramatic and I know that he really hates that. He’s just really a simple person. And now, I guess, I could trust to that. I could trust that he won’t hurt me. Who could agree with me? 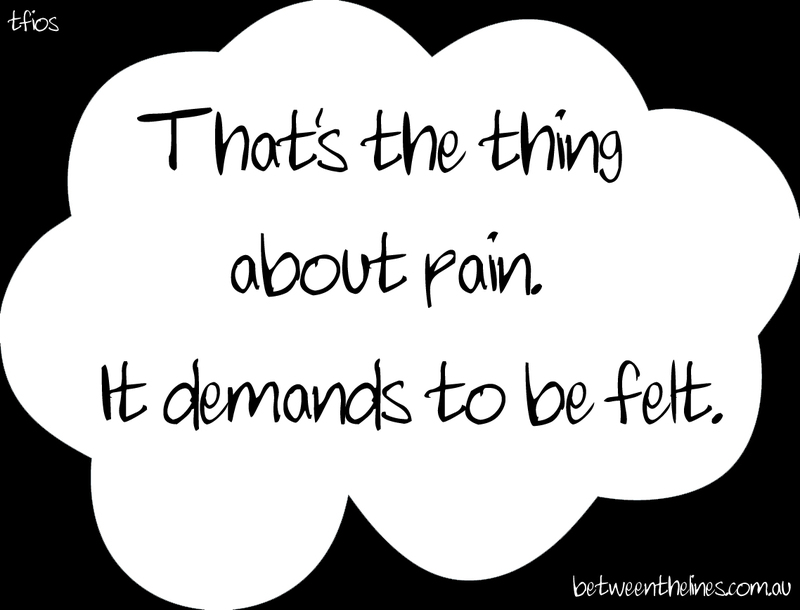 John Green: That;s the thing about pain. It demands to be felt.